The Rev. Franklin Graham has spoken out on the violence that broke out at Donald Trump's Chicago campaign rally Friday, stating that it shows America is politically, spiritually, and morally "broken." "This past week we saw violent protests at political rallies. One candidate is under investigation by the FBI. Another candidate says we need a political revolution. What America needs is a Godly revolution," Graham wrote on Facebook Monday. "Washington is broken. Our nation is broken — politically, spiritually, and morally — and our only hope is Almighty God. Let's take a stand together and pray for God to intervene in this country, to forgive us, and to give us another chance," he added. 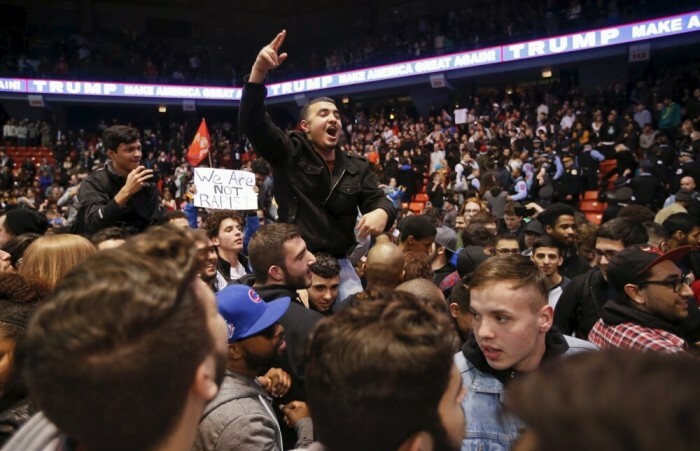 The violence in question refers to clashes between protesters, many of whom organized online via the Left-wing activist group MoveOn.org's and Trump supporters who were hoping to hear the presidential candidate speak at his Chicago rally that was subsequently canceled. The unrest has led to a political blame game, with Trump pointing the finger at Democratic candidate Sen. Bernie Sanders for organizing "thugs" to go to the protests, while Sanders and Trump's other presidential rivals have said that the billionaire businessman's rhetoric is responsible for stirring hostilities. Florida Sen. Marco Rubio said that the violence makes it "harder every day to justify" backing Trump for the Republican nomination, arguing that conservatism is not about "how angry can you get, how offensive you can be, how loud you can speak." Ben Carson, the retired neurosurgeon who dropped out of the race and subsequently endorsed Trump, warned that the situation might continue to escalate. "There is a real possibility of escalation, because those who are the victim of them have two choices, they can submit and do whatever those protesters want them to do, or they can fight back," Carson told USA Today. "And if they decide to fight back, there could be an escalation." Carson further argued that Trump's First Amendment rights should not be violated regardless if people disagree with his views. Graham meanwhile revealed that he will hold another Decision America Tour prayer rally in Denver on Tuesday, as he continues his campaign calling on Christians to vote in the elections based on their values. The evangelical leader, who is the president of the Billy Graham Evangelistic Association, has previously warned that God has been taken out of the political dialogue in the United States. "The only hope for this country is God and we have taken God out of the political debate, and we have taken him out of the public space, and I want to put him back in," Graham said in an interview last week. "We are asking people to come to the capitol steps and we are going to all 50 state capitals and we're asking people to join me." "We actually spend half the time in prayer — people just holding hands with the person next to them and praying to God, confessing the sins of our nation, confessing our own sins," he added.